Past studies on the Chinese state point towards the inherent adaptability, effectiveness and overall stability of authoritarian rule in China. The key question addressed here is how this adaptive capacity plays out at the local level in China, clarifying the extent to which local state actors are able to shape local processes of policy implementation. 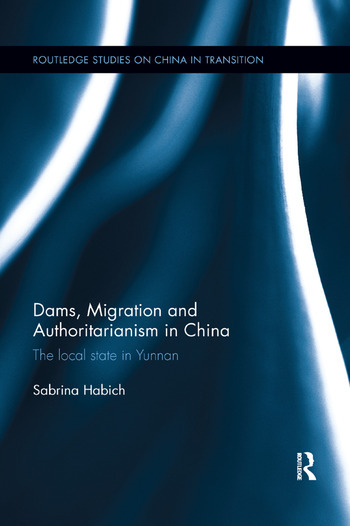 This book studies the evolution of dam-induced resettlement policy in China, based on extensive fieldwork conducted in Yunnan province. It shows that local governments at the lowest administrative levels are caught in a double bind, facing strong top-down pressures in the important policy field of hydropower development, while simultaneously having to handle growing social pressure from local communities affected by resettlement policies. In doing so, the book questions the widespread assumption that the observed longevity and resilience of China’s authoritarian regime is to a large extent due to the high degree of flexibility that has been granted to local governments in the course of the reform period. The research extends beyond previous analyses of policy implementation by focusing on the state, on society and the ways in which they interact, as well as by examining what happens when policy implementation is interrupted. Analysing the application of resettlement policies in contemporary China, with a focus on the multiple constraints that Chinese local states face, this book will be of interest to students and scholars of Political Science, Chinese Studies and Sociology. Sabrina Habich is a Postdoctoral Fellow at the University of Tübingen, Germany.